Need help with the tenses in English? 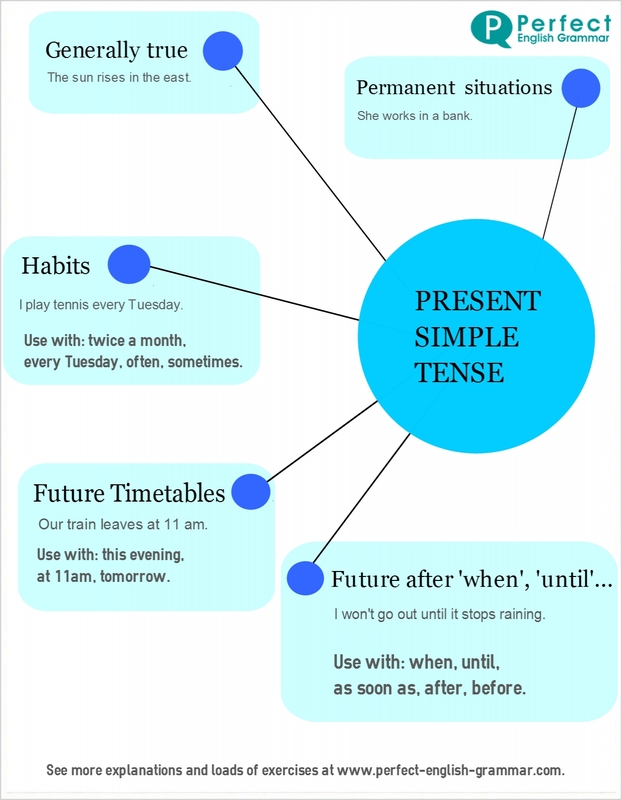 Here’s an excellent overview of the Present Simple with links to additional online exercises. This entry was posted in Grammar, Tenses and tagged grammar, present simple, simple present, tenses. Bookmark the permalink.